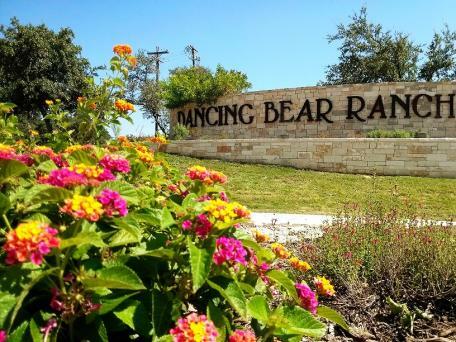 Dancing Bear Ranch is a beautiful, deep terrain, custom home community overlooking Medina Lake in the Texas hill country. The first lots were sold in 2005 based on the developer’s grand vision. Unfortunately, the developer’s business plan collided with the economic downturn and the developer left in 2010. With only 60 homes built on almost 500 lots, a Board of homeowners was appointed to pick up the pieces and address the challenges that faced the community. One of the early steps of the volunteer board members was to recognize they need help and C.I.A. Services was hired. The challenges have been many but the team is addressing every item. The lakeside park had fallen into disrepair. Park permits were updated, legal access was gained to the park roadway, the pavilions were repaired, lighting and trash cans were added and a grounds maintenance contract was put in place. The entries were not being maintained. Electrical systems were brought up to code, power was restored to both entries, the irrigations systems were repaired, a major landscaping project was completed at the main entry. There have been several problems with the governing documents and the Association has worked with all owners to amend the deed restrictions to solve problems. The community is gated with private roads. Engineering work has been completed to evaluate and prioritize current and future repairs. A low water crossing has recently been rebuilt and a solution for major road failure in a remote section of the community is being designed. Work is being done to upgrade two of the three entry gates and to add telephone access systems. Several committees have been formed and are contributing to the success of the Dancing Bear Ranch. The Architectural Control Committee has continued to provide fast and knowledgeable responses to applications. The Beautification Committee provided feedback on the design and plant selection for the large entry project. The Social Committee coordinates the very popular First Friday Socials that rotate through the community. Dancing Bear Ranch is a jewel on Medina Lake and dedicated owners are putting the sparkle back in the community. C.I.A. Services is very pleased to be an integral part of the problem solving team.